Many of our firm’s clients own private houses in Westchester County, in Brooklyn (Kings County), the Bronx, and Queens County. These may be one or two family houses, and many of these houses are part of the rental market, rather than owner-occupied. 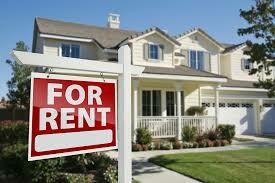 Renting a private house involves many legal issues that may not occur in an apartment rental. These issues will the subject of this blog post. The first issue relates to a written lease. Many apartment rentals use a standard form lease (which may be a rent-regulated form lease), or no lease at all. It is important when renting a private house to have a qualified attorney prepare a written lease specific to the property to be reviewed and executed by the tenant. The reason for this is that while there are standard Court practices for apartment rentals (particularly if the apartment is rent-regulated) house rentals are more specific and unique. Therefore, it is important for anyone renting a house to have a lease which will incorporate the specific requirements for the rental, as there are fewer standard terms. Some of the issues to look at are the length of the lease term, whether the lease can be renewed after it expires (as opposed to rent-regulated apartments, in which a renewal right already exists), the amount of the security deposit, responsibility for maintaining the property, and other terms which are specific to the house being rented. For example, many houses have older appliances. The written lease needs to state who is responsible for maintaining the appliances, and who will incur the expense of replacing a major appliance which no longer works. Further, a landlord may specify who needs to have the appliance serviced and the allocation of repair expenses should be negotiated. Many landlord-tenant disputes in private house rentals relate to the condition of the appliances, as well as heat and air conditioning systems. The lease should specifically delineate each party’s rights and responsibilities for these conditions. Leases should also state the lease term and, of course, the monthly rent. Our firm has handled many cases where a tenant remains in possession after expiration of his lease term, or fails to timely pay his rent. In such instances, we first attempt to resolve any dispute through direct contact with the landlord or tenant. Many disputes become unworkable because of personal animosity or communication difficulties between the parties. A qualified attorney can work through these issues and attempt to resolve them without the necessity for Court action. Of course, if a tenant refuses to move out after their lease term expires, a holdover proceeding must be brought in the appropriate local Court. For example, Westchester County has many “Town Courts” and “Justice Courts,” which handle eviction actions for certain towns. Evictions in the cities of Yonkers and White Plains are handled in their own City Courts. As each Court has their own rules and specific dates on which actions can be brought, we advise that any eviction action be brought by counsel. If a tenant fails to pay her rent in a timely fashion, a non-payment action can be brought. Unlike a holdover action, a tenant may defend such an action by alleging that certain services were not provided, allowing them a partial rent abatement. Judges in housing court often attempt to encourage the parties to enter into a settlement for holdover matters. This usually allows the tenant of an expiring lease to remain in the premises for a specific length of time, providing they pay additional rent (legally termed “use and occupancy”) for the additional time. After that time expires, the tenant is required to vacate the premises or be evicted. Our firm has extensive experience in assisting all parties in house rentals, including preparation of leases and handling any actions which need to be brought in landlord-tenant courts.